Cardboard of various density, thickness up to 0,8 mm. Offset, water dispersion, UV coating. One or three points of bonding. It's possible to manufacture boxes with stamping, hot foil stamping. The manufacturing process of products from molded paper pulp is based on the non-waste utilization technology of waste paper. 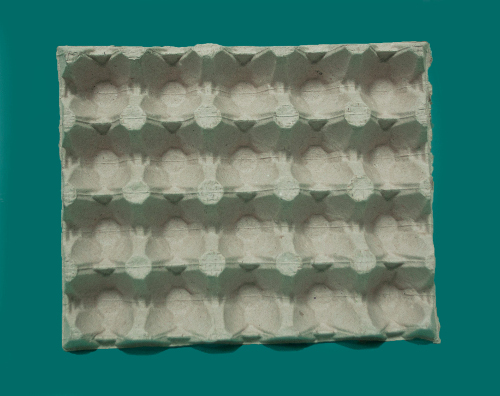 Packaging made from molded paper pulp is cheaper than polystyrene or foam, smaller when transporting, has more effective protection against impact, is more resistant to fracture, clean and fully utilized. We offer a lumpy packaging and containers for eggs, packaging inserts for laser printer cartridges, capsules for shoe covers, trays for packaging of various tubes and jars. 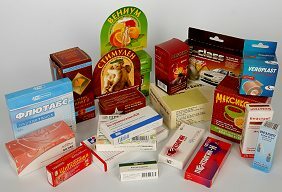 Development of packages for special orders is possible. Offset printing: Advertisement, circulation of 1000 copies or more. Color 4 / 4 with subsequent operations cutting, varnishing, folding. Labels on label paper colors of 4 / 0 from 20000 copies or more. Colorful on self-adhesive paper, 4 / 0, circulations of 25 000 copies or more. Instructions colorful 1 / 1 produced at a specialized machine Heidelberg Speedmaster CD 74 a single run with the coup, on paper weights from 45 g/m2. 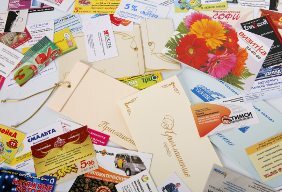 Less circulation printing (digital printing): Business cards, discount cards, discount cards, brochures, leaflets, posters (maximum size 434h304 mm), certificates, diplomas, certificates, invitations, advertising and distribution (with the personalization data), greeting cards, invitations for the holidays. Pocket calendars (laminated, with rounded corners), wall, sheet (maximum format 434h304 mm), and one-section quarter-section, calendars-houses. Menu, branded napkins, covers for diaries and notebooks, inserts in the CDs, folders, original labels.